Are Humans Smarter Than Insects? 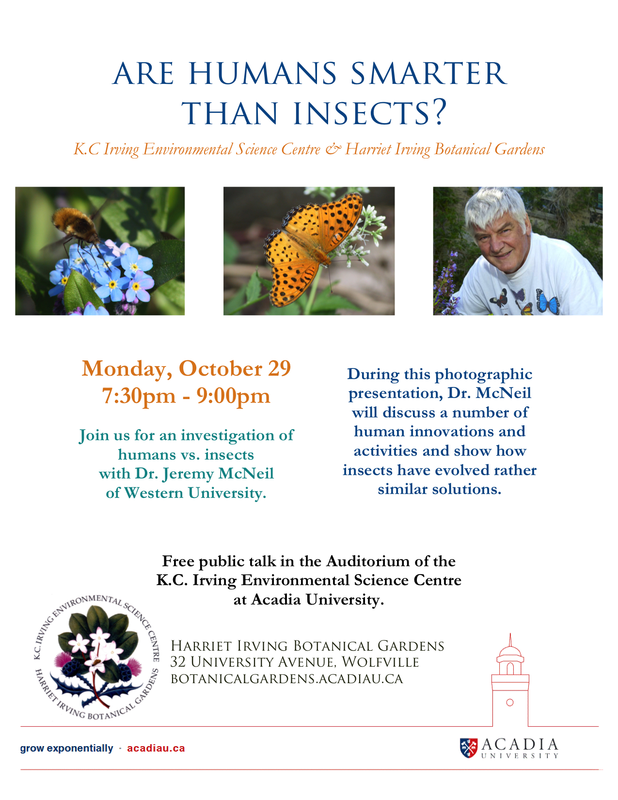 Join us for an investigation of humans vs. insects with Dr. Jeremy McNeil of Western University. During this photographic presentation, Dr. McNeil will discuss a number of human innovations and activities and show how insects have evolved rather similar solutions.